Desc: This is a Galloping Gems custom made necklace. It is 14 kt. white gold and has a 16 inch diamond cut snake link chain with a lobster claw clasp. 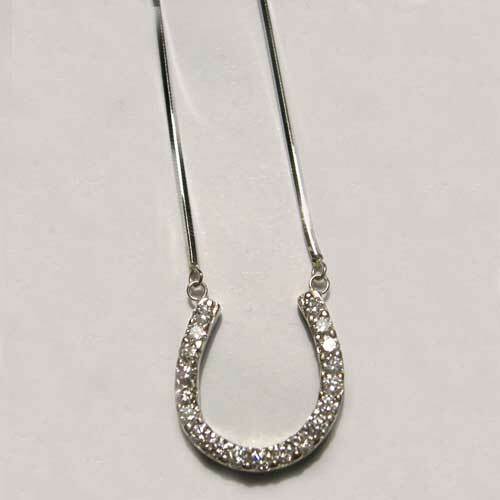 The horse shoe contains 19 Round Brilliant cut diamonds that weigh 0.66 carats total weight.